With our highly concentrated cleaning agents (up to 10 times more concentrated than regular products) we take cleaning to a ‘next level’. With just 3 products all daily cleaning activities can be done without any compromise to cleaning quality. Moreover, Ecodos Easy is a user-friendly dispenser, which is extremely accurate in dispensing the correct dosage. You can use two dosages, separately adjustable from 1-100 ml. The delay-timer prevents employees from using too much cleaning agent. Efficient and sustainable cleaning, however, also depends on the intelligence of the dispenser. 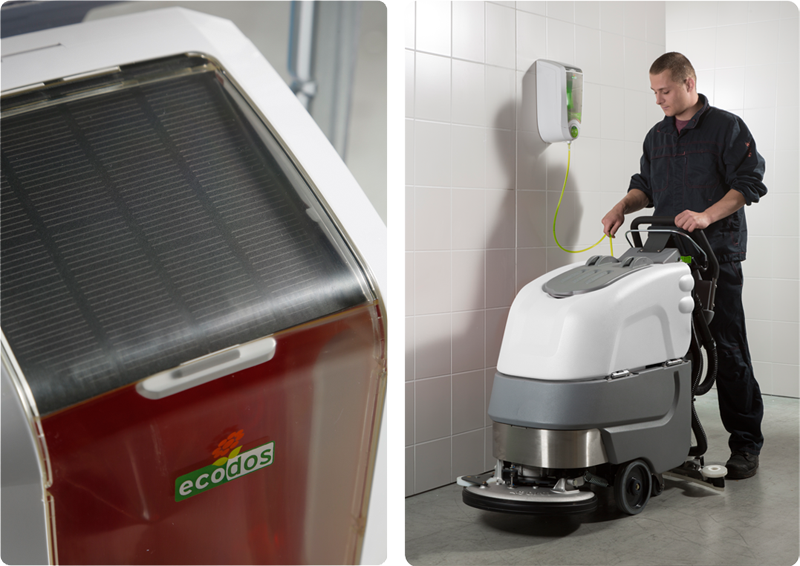 Ecodos Easy provides you with an insight into the consumption of the cleaning agents. 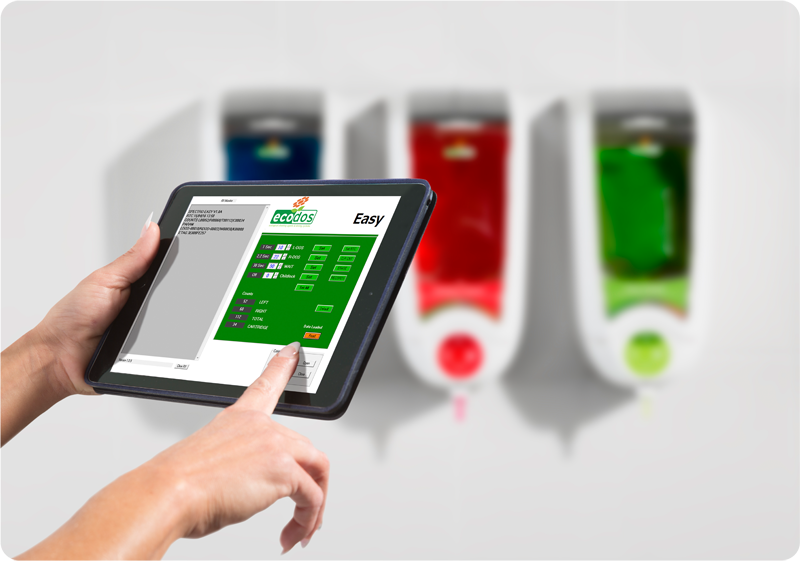 The data generated by the dispenser can be easily integrated into your cleaning or HACCP plan. This enables you to steer on efficiency and ecological performance. Our highly concentrated cleaning agents offer you low costs per dosage. Moreover less transport is needed, reducing stock quantity and waste to an absolute minimum (the pouches will be emptied completely). On top of that, our products cannot be used without our dispenser, removing the risk of theft. 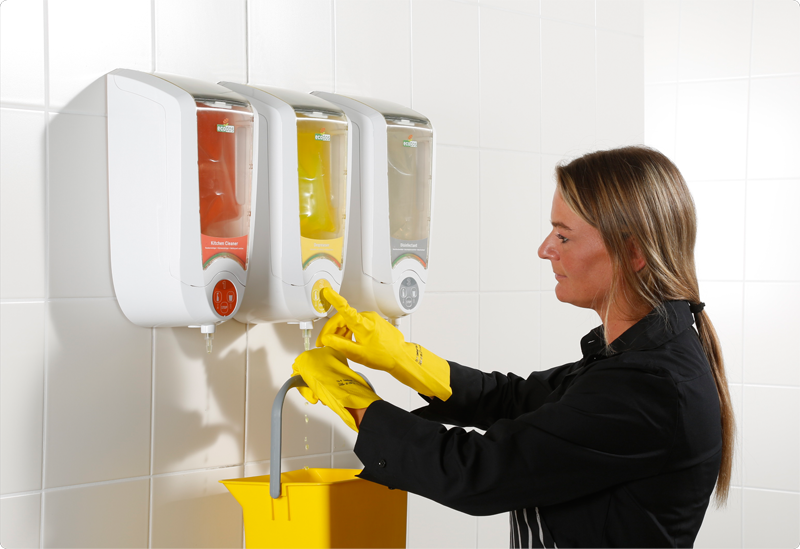 We train your staff how to use the dispenser and the products. And maybe even importantly; we train them how to work more hygienically, safely and environmentally friendly.